Storybook Dining at Artist Point with Snow White is a character meal at Disney World’s beautiful Wilderness Lodge! Guests enjoy a prix-fixe meal and can look forward to Snow White, Dopey, and Grumpy stopping by throughout the dinner. And The Evil Queen is even present for a unique photo opportunity. 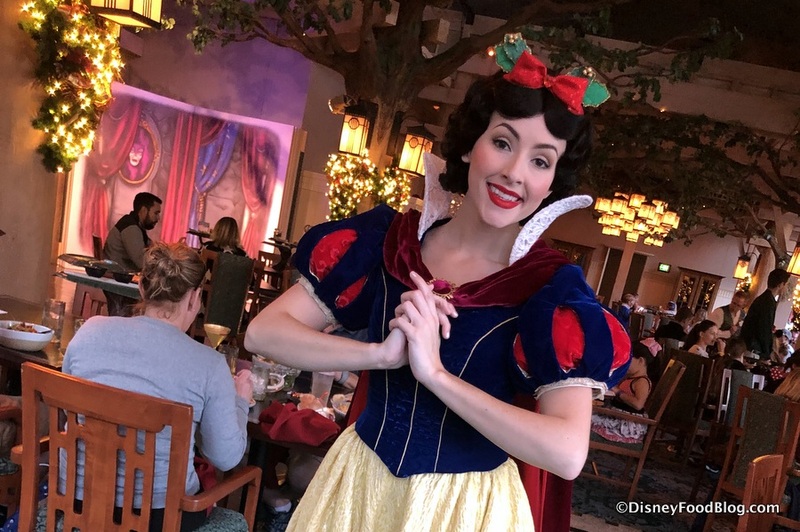 Formerly a signature restaurant, Artist Point’s setting and menu have been entirely transformed with a Snow White and the Seven Dwarfs theme for this experience. Disney Food Blog Review! 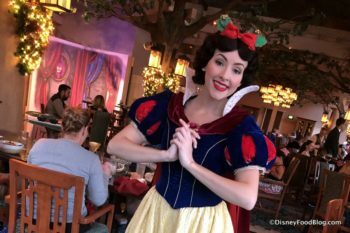 NEW Storybook Dining at Artist Point with Snow White in Disney World’s Wilderness Lodge! Though Artist Point was previously a signature restaurant, Storybook Dining at Artist Point with Snow White is now a character dining experience. The out-of-pocket cost for Adults (ages 10 and up) is $55.00, and the cost for Children (ages 3-9) is $33.00. For guests participating on the Disney Dining Plan, the meal requires one Table Service entitlement.